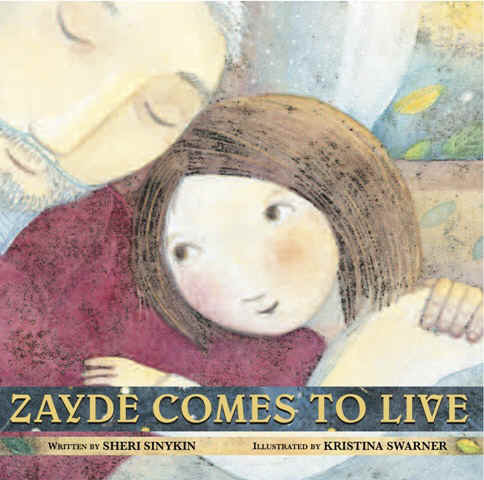 ZAYDE COMES TO LIVE, my first picture book, (illustrated by Kristina Swarner, from Peachtree Publishers) was released October 1, 2012. The Wisconsin Library Association awarded ZAYDE COMES TO LIVE its Elizabeth Burr/Worzalla Award for most distinguished children's book by a Wisconsin book creator in 2012 at the 2013 fall convention. Book of Life Podcast with an interview about ZAYDE COMES TO LIVE was recently posted. I'm so honored to announce that ZAYDE COMES TO LIVE has been selected as winner of a Sydney Taylor Honor Book Award for Younger Readers for 2013. 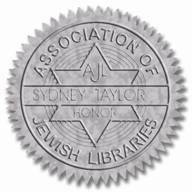 The Sydney Taylor Book Awards are awarded every year by the Association of Jewish Libraries to books for children and teens that authentically portray the Jewish experience. The Association of Jewish Libraries (AJL) has been recognizing quality Jewish literature for many years. In 1968, AJL established a children’s book award called the Shirley Kravitz Children’s Book Award. This award was renamed “the Sydney Taylor Book Award” in 1978 after the death of Sydney Taylor, author of the All-of-a-Kind Family series. More information about the award, including how to order silver seals for your own copies if you wish, can be found here. The Parents' Choice Foundation has awarded ZAYDE COMES TO LIVE a Parents' Choice Recommended Award for 2012. ZAYDE COMES TO LIVE was named to Tablet Magazine's List of Best Children's Books of 2012. Some great trade reviews are available, along with links to blog reviews and interviews here. My book talk for ZAYDE COMES TO LIVE includes a Power Point presentation for adults called "GOOD GRIEF: How to Talk to A Child about Death" and ends with a reading and discussion. My young YA novel, GIVING UP THE GHOST, is available in paperback from Peachtree and in several digital formats. Order online via the Amazon.com link under CURRENT BOOKS. The amazing jacket photo is by Karekin Goerkjian. See more of his work here. You can read the first chapter of GIVING UP THE GHOST here. A Teacher's Guide for GIVING UP THE GHOST is available here. "Loss and Grief" handouts for teachers, librarians, and parents are available from my Author Visits page. Heidi Estrin's Book of Life podcast about ZAYDE COMES TO LIVE.